I know you’ve been waiting on it…and here it finally is! I’m so thankful that I have the type of husband who is not only willing to write these blog entries, but wants to. Our children and beyond blessed and I love thinking about us all sitting around as adults retelling their birth stories together! good a writer as my wife so bear with me. think that it’s even close, but Emily on the other hand must. Honda’s speedometer on the way to Kye’s birth. most ways. Emily did way better at home. an interesting thing to me. I compare it to one of The Price Is Right games. shoulders. I feel even more relief when we get into the room at the hospital. insane. I always ask, “so why did I spend 5 min keying in all my info?? ?” Same concept at the hospital. they?” over and over. But this time we went right to the room and then we waited. First thing, cover up the mirror! had spilled over into her child’s birth. I felt so bad that this was happening but there was nothing I could do. even when her mind was focusing on her nightmare. so long to get to the hospital I was very mad. and mentally, that God has put in them. phrases to say (and what not to say) to keep her motivated and on the right track. Everything just seemed smoother. There were a few bumps in the road but the first time around the whole thing seemed like a bump in the road. let her know that all the pushing was working, that she was doing everything right and it was progressing like she wanted it to. think that me relaying that to Emily really made a difference in the pushing process and helped speed it along. because it was baby number two that it would be great, but not on the same level that the first baby was. was. I was not expecting it. Her skin was so pretty. She had gorgeous hair. I immediately began to cry. was, how I got to hold them, and stare into their eyes. It is AMAZING. those first thirty min of their lives is right up there at the top. so sweet. I love when he calls her his baby. lot smoother than the first time around. moments are what makes life so incredible. and know that she was going to do great. delivery. Or one who is so doped up on drugs that she isn’t herself or doesn’t know what’s going on. I get to experience a wife who handles it all like a bad case of GAS. for helping as well. I would thank my dad but he never reads this so he won’t ever know I thanked him here. Also thank you to all of Em’s friends who continue to shower her with their love, help, cards, and support. We are so grateful to you all and so blessed to have two amazing children! You can go back and read Zach’s version of Kye’s birth here, and my story of Brittlynn’s birth here. Very well written, Zach! I could so hear you saying all of that for real. 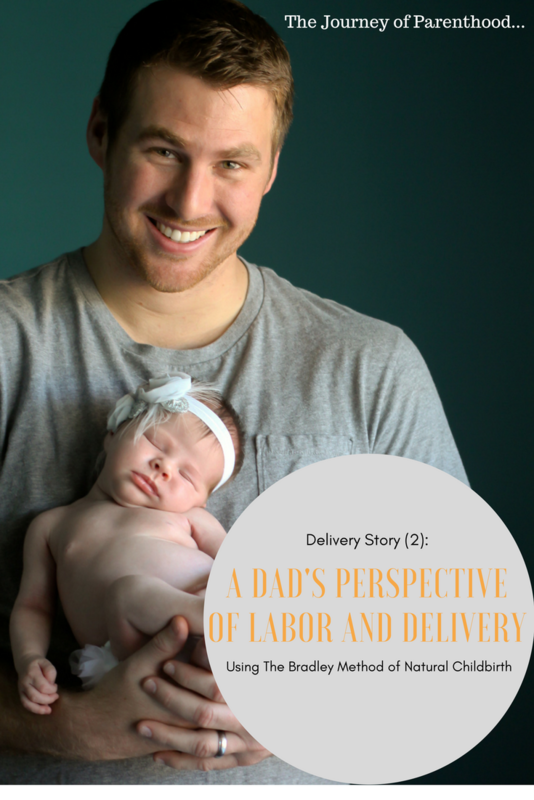 I love hearing the birth story from Daddy's perspective! Great job, Zach! This will be something that Brittlynn cherishes for sure.